Other than an improved chassis, a much improved power unit and significant upgrades, another factor in this year's title fight between Ferrari and Mercedes is the form of Kimi Raikkonen. Currently third in the standings, the Finn has made it to the podium eight times in twelve races, a vast improvement on his 2017 form. While he currently enjoys a 24-point lead over Sebastian Vettel in the driver standings, Lewis Hamilton admits that both he and his team are having to dig deeper than ever before, at times having to over-deliver. "We are racing a team that is faster than us this year," he says, according to the official F1 website. "Last year we were quite balanced, as there were some weekends they were faster than us and some weekends we were faster than them. "But this year it is swinging more in their direction," he admits. "We are having to over-deliver on race weekends and pull out more on weekends where we are not quick enough. "The pressure to extract every millimetre of every ounce is greater than ever if I want to be number one at the end." In 2017, Ferrari's hopes fell apart in the second half of the season, courtesy of errors made by the team and Sebastian Vettel. 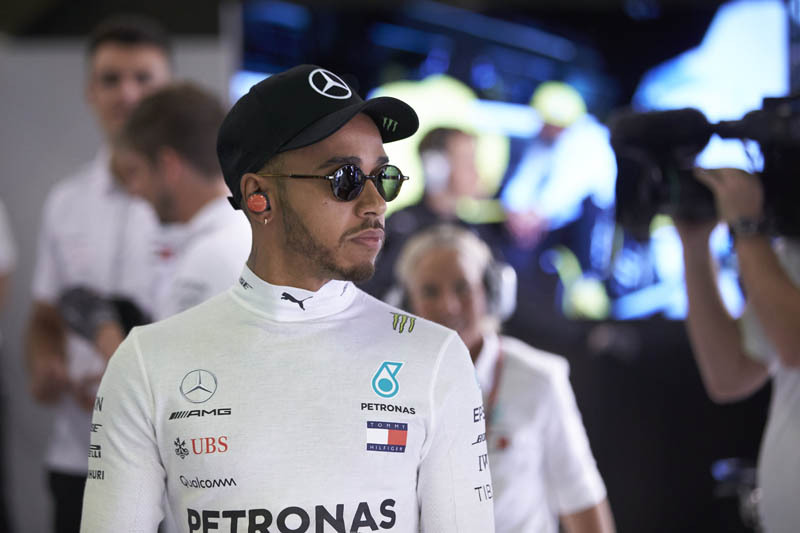 As we await the resumption of 2018 hostilities, Hamilton believes that once again mistakes could prove decisive over the coming months. "Ultimately last year we reached just as high in terms of pressure at some point, it is just that this year it is even closer than last year as you know, so the smallest mistakes are even more costly. "Then there is more pressure. That is the same for any sport if you know the last shot or last serve is the most important point it is the most intense battle." Williams to use Mercedes gearboxes? "I believe Lewis is correct when he says the Ferrari are faster... I do believe they have the better package this year for most tracks and if it wasn't for some errors, they would be leading both the driver's and manufacturer's championship." "I am incredulous at how Lewis can portray himself and Mercedes as underdogs. I forgot, he's entitled..."